Simply put, seen below is just one combination of the Sliding Hub system in action. 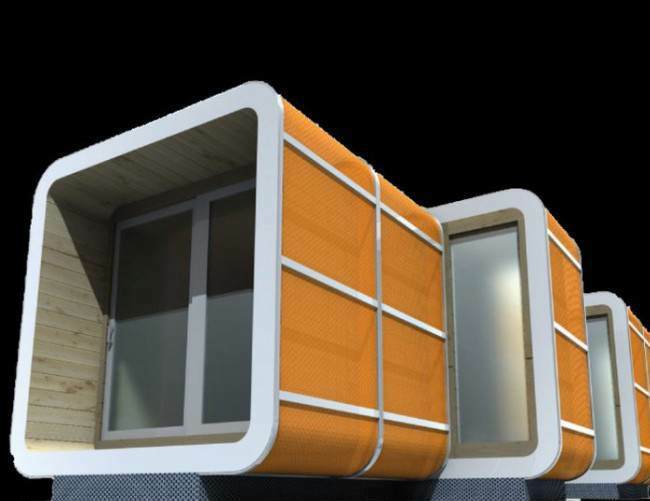 It’s supposed to be the ultimate answer to instant, portable home building for any location. The really incredible part is the designer Gabriel Aramu imprinted a little timeless genius into his Sliding Hub: the combinations are endless, though available references claim only 64 ‘structures’ are possible with the Sliding Hub system. It’s pretty much like Lego, except you can live inside the blocks. Other than rugged applications, the Sliding Hub housing system is also well suited for high density urban environments. It would be cool to own a plot of land and a few of these modules. So long as basic utilities such as power and water are accessible, the Sliding Hub should be fun to live in. It’s not difficult to maintain and the mods you can add to the structure should make for an enthusiastic home owner.